Over the weekend, my hubby, Shiloh and I, along with a few other bloggers and their families’, were invited to the annual Eckerts Easter Egg-citement kick off. Easter Egg-citment is happening all month long leading up to Easter weekend, and I was especially excited because I hadn’t been to Eckerts since I was a kid. My husband and I are always looking for new traditions to start as a family, and we thought it would be the perfect outing for our 8 month old, Shiloh. 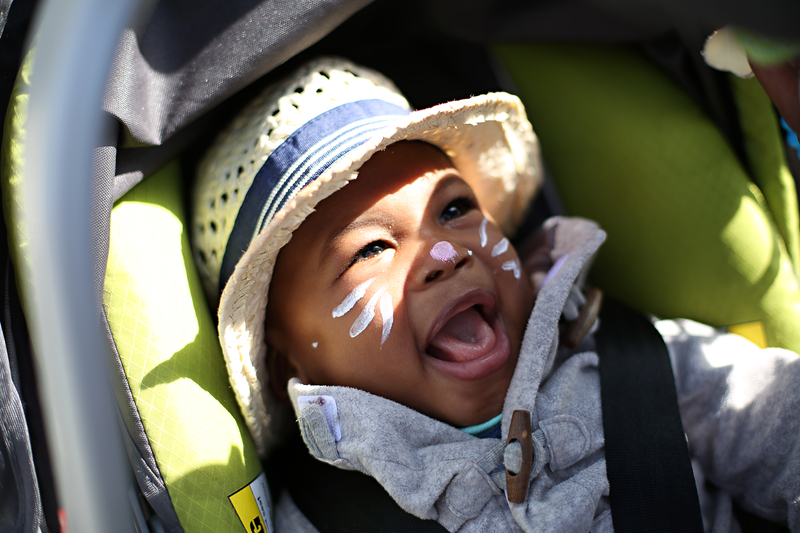 It was a beautiful Spring day, perfect for Easter Egg Hunt festivities! We arrived a few minutes before they started the first of 5 egg hunts. It’s really neat the way they have the hunt broken up by age groups. Shiloh’s 2 and under group went first, and although he had no clue what was going on, he had a blast. Next, we stopped to spend some time petting the bunnies and chicks. Shiloh wasn’t scared the least, and I was so surprised that he was eager to pet the animals. We headed on a tractor ride after and then to a few other activities like: face painting, taking pictures and touring the grounds of Eckerts, which is quite beautiful. We didn’t get a chance to stay for lunch, but we did get to shop the Eckert’s grocery store and found some delectable goodies. Easter Egg-citment is happening now through March 31st with events like Breakfast with the Bunny as well as adult cooking classes. There’s something for everyone. It was so great to hang out with my family and connect with other families at the Easter Egg-citement event. 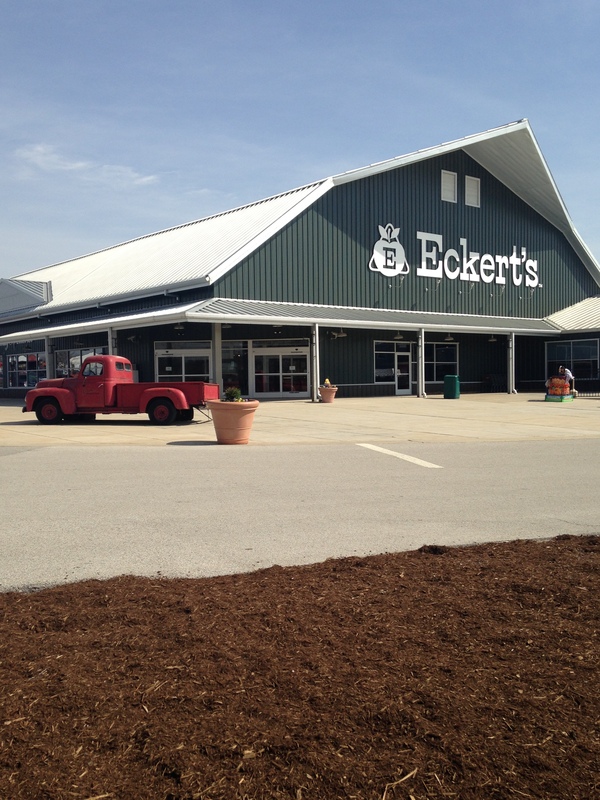 Eckerts is a great place to make family memories and you still have time to get in on all of the fun. Check out the Eckerts calendar and maybe I will see you there!